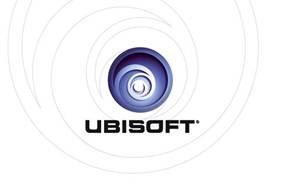 Ubisoft has just released this information regarding the financial targets of the company and some significant changes to their upcoming game release schedule. Sales for games on the Wii and DS were lower than expected in 2009 and are expected to be down for the full year by around €160 million (or $239 million CAD), representing a drop of around 50% in world wide sales numbers. Riding on the success of Assassin’s Creed 2, Ubisoft will be focusing on future development of high-quality AAA games. This is also partly due to the lower-than-expected sales of games like James Cameron’s Avatar™: The game, several non-casual Wii titles and a general underperformance of back catalog titles. Tom Clancy’s Splinter Cell Conviction™ and R.U.S.E™, which were previously scheduled for the fourth quarter of 2009-10, and will now be released in 2010-11. Splinter Cell Conviction™ is now expected to hit the stores in April 2010. 2010-11 will be focused on the Xbox 360 and PlayStation 3 and less on the DS and Wii… Expect more games and new franchises to be announced throughout the year.